Parking is to be arranged by client. 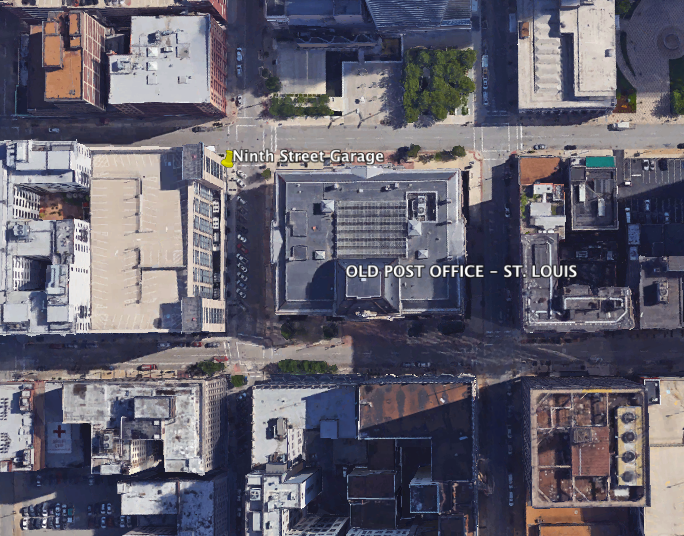 We recommend the 9th Street Garage (across the street to the West) managed by St. Louis Parking. Other parking arrangements may be made. © St. Louis' U.S. Custom House & Post Office Building Associates, L.P.
Have a date in mind for your event? Want to tour the space? Contact us to see if the Old Post Office is available for your special event.